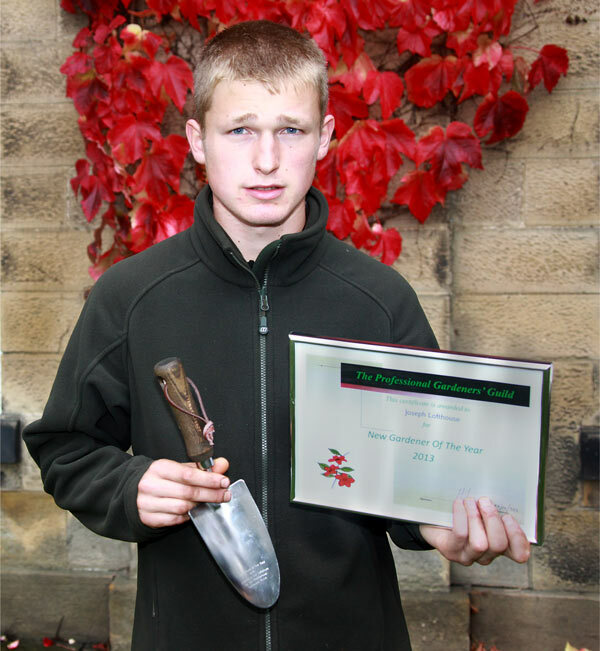 Swinton Park gardener Joe Lofthouse has won the prestigious Professional Gardeners Guild award “New Gardener of the Year 2013”. This is a national award (just one winner per year) with a generous bursary for Joe to travel and learn about other gardens abroad. Joe first started working at Swinton Park alongside Susan Cunliffe –Lister on Saturdays’ at the age of 14 ,whilst still studying school. During the school holidays Joe also used to volunteer at Harlow Carr Gardens, Harrogate. Joe went on to study at Askham Bryan college followed by an apprenticeship at Harlow Carr Gardens. Today he splits his time between the vegetable garden at Harlow Carr in Harrogate and the Walled Garden at Swinton Park.